Okay, y’all. We’re exactly three days into this year’s series, and I hereby declare this my favorite project of the year! My mom and I share a love of nonpareils, and when I realized last year that you could make them at home, I immediately added them to the list of projects for 2013. But for some reason I never got to them (I think I was afraid they wouldn’t work and all of my dreams would be crushed!). This year, however, I was determined to try them, and they’re so much fun to make! Although they’re “upside down” compared to traditional nonpareils, I think they’re so cute. 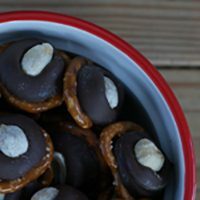 You can use almond bark for these, but I would recommend a high quality chocolate instead since these are mostly chocolate. Line a baking sheet (with sides) with parchment paper — I love these pre-cut sheets from King Arthur — and dump the container of nonpareils in the middle. Give the pan a few gentle shakes to evenly spread the nonpareils across the surface. You want them in a single layer close together, even if they don’t take up the whole pan. 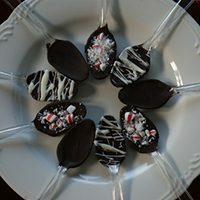 In a saucepan or double boiler, melt the chocolate over low, stirring frequently. Be careful not to get any water in the chocolate, and watch it closely so it doesn’t burn. Slowly drop circles of chocolate on top of the nonpareils. They will spread a little, so don’t put them too close together. 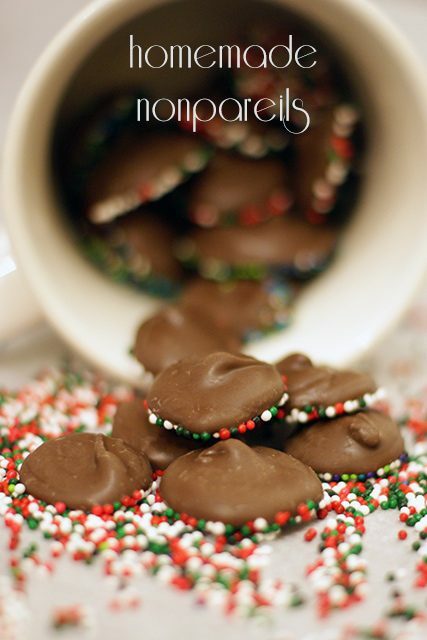 Be careful not to press down with the tip because it will cause the chocolate to leak under the nonpareils. Allow the chocolates to set and then gently tilt the pan to the side to regroup the remaining nonpareils and repeat the process. Let the chocolates sit for several hours until they’re completely hardened and then transfer to treat bags or a container. These can be stored at room temperature, but they’re so much tastier from the fridge! Make separate batches in different varieties of chocolate and mix them all together once they’ve hardened. 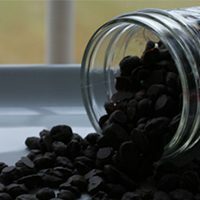 Just found your blog this morning looking for frugal meal ideas and because of this homemade nonpareil post, I think I love you!